Woo hoo! This was brilliant! 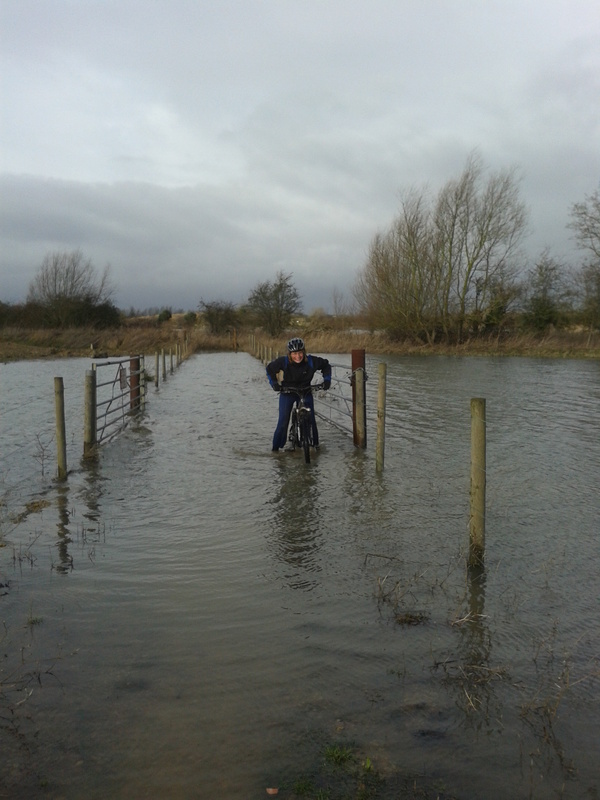 The floods have left all the paths and bridleways round the Cotswold water parks looking somewhat inhospitable to cyclists. In many places it’s hard to tell where the path ever was; whole fields are underwater. But, ideal for an adventure. Some stretches were only under a foot of water, and the bike managed that fine… others went deeper, but the excitement factor is in not knowing when you go in whether you’ll emerge the other side! 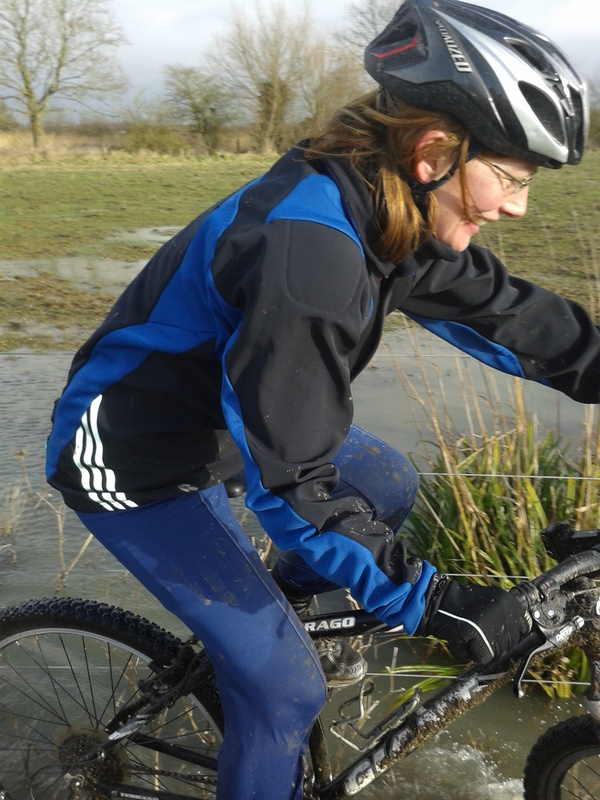 The last one was beyond my bike skills and became a very cold wade through knee deep water. Bracing, but it made for the sort of morning when I am quite happy not to have a job!